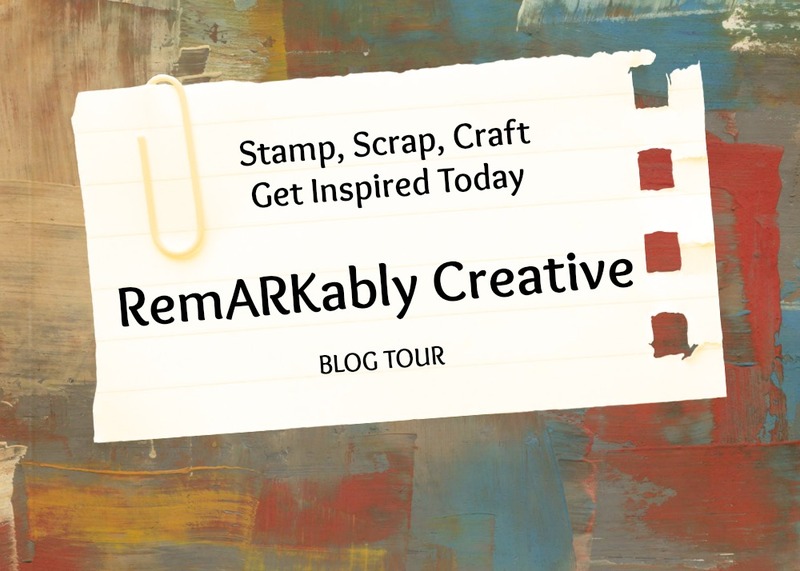 RemARKably Created Blog Tour – Color Me Happy! 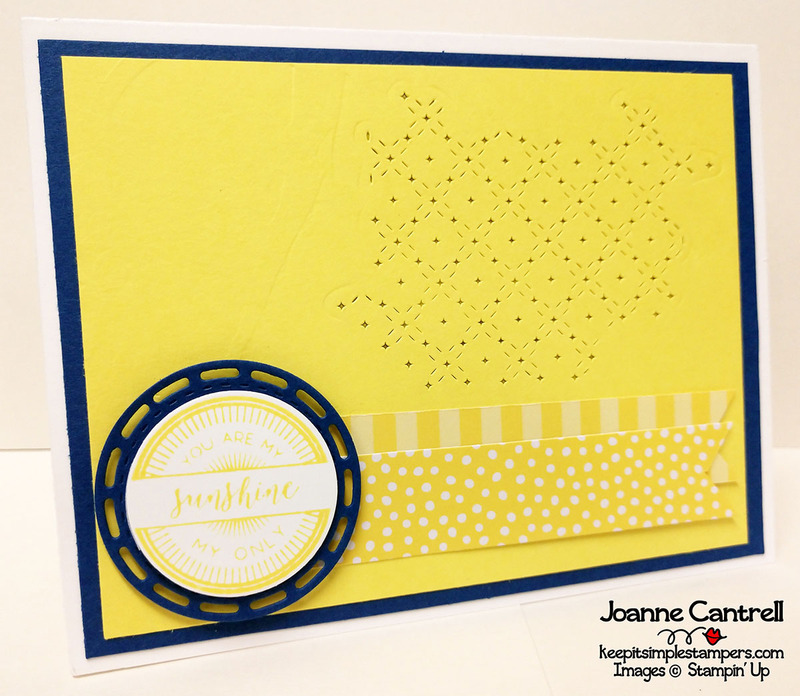 Welcome to Keep It Simple, Stampers! My name is Joanne Cantrell and I am from a tiny town in the middle of Southernmost Illinois in the middle of the United States. 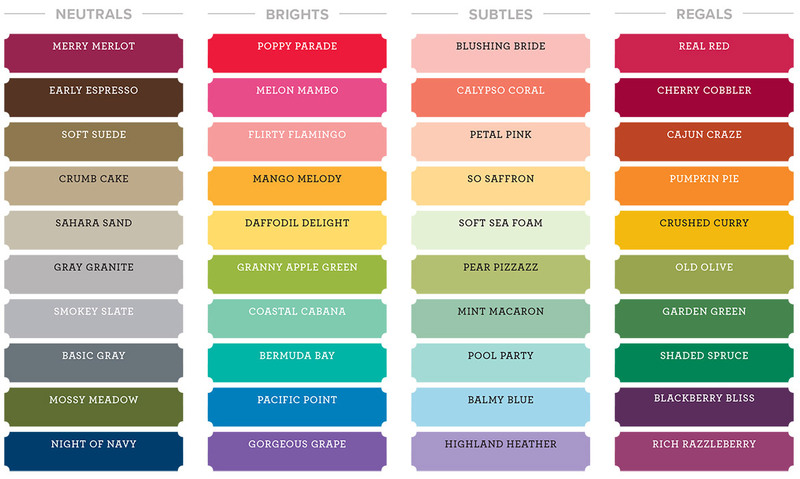 Our theme for this month is COLOR ME HAPPY! 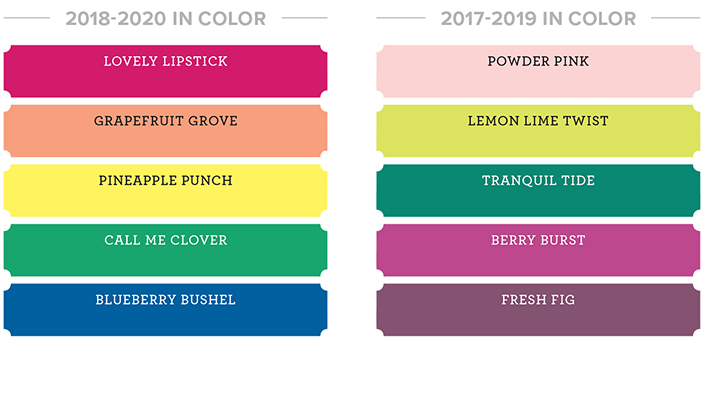 That means each blog you visit during this hop will feature projects showcasing one or more of the new and/or returning colors in the new 2018-2019 Annual Catalog. 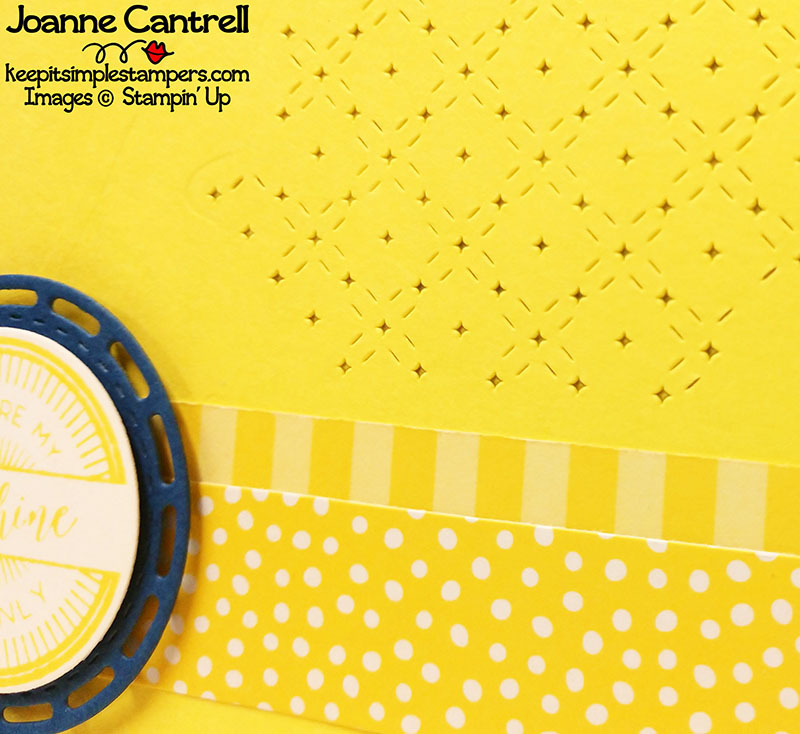 In an effort to stay on trend, Stampin’ Up!© did a complete revamp of their color selections. They bought back some old favorites, they brought in some new ones, the moved colors around between color families, etc. And, here are the current In Colors..
My absolute favorite color is BLUE! I love all shades and varieties of blue! 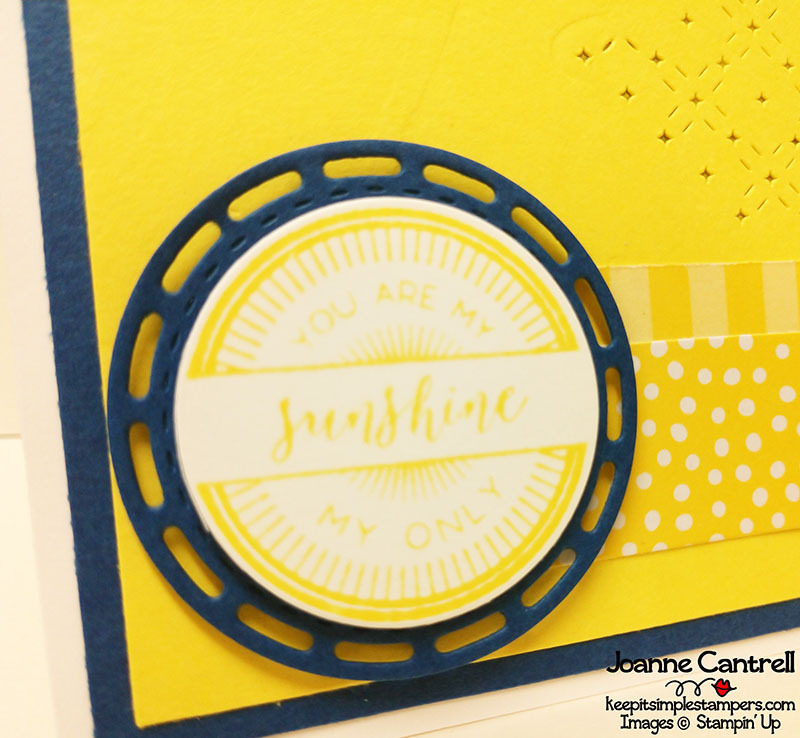 And, my favorite color scheme of all time is Yellow and Blue… What can I say.. Stampin Up!© must have known that because two of the new In Colors are Pineapple Punch (yellow) and Blueberry Bushel (blue)! 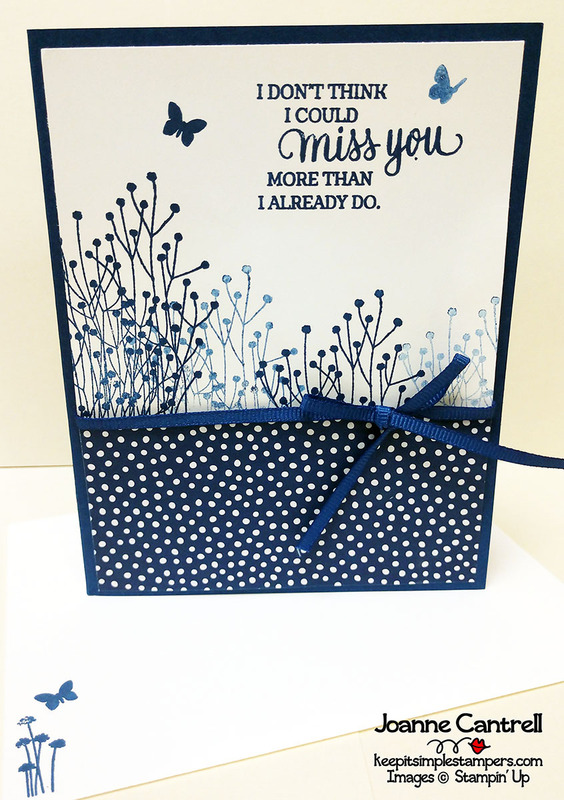 This is a great card for the summer time. It’s so bright and cheery! Isn’t that yellow just gorgeous! It’s so bright and vibrant! I will say that you may have to be careful what you stamp with that yellow… but it is still a great card, if I do say so myself! But, I love the BLUEBERRY BUSHEL even more. It can definitely stand by itself! The stamp set I used here is ENJOY LIFE. It has great silhouettes in it. I think this will become one of my new favorites! Of course… that blue is much brighter than I can capture on camera…you just really have to see it in person! 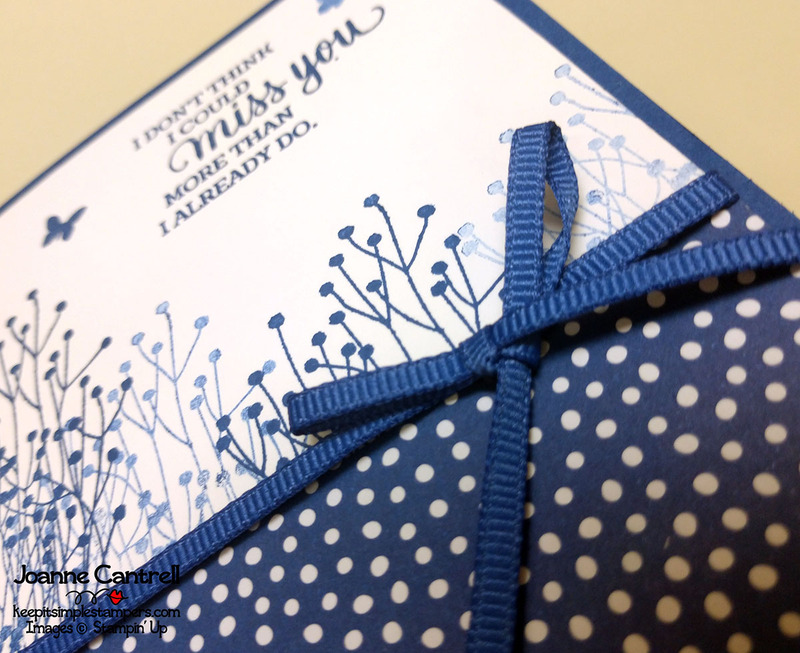 The monochromatic feel of the card was down just by simply stamping the image a couple times before inking it up again! Well, that is what I have to offer you today! Hop along and see what everyone else has been up to! Next > Stamper’s Dozen Blog Hop – Christmas in July! Beautiful Joanne! I love blue & yellow too. Thanks for sharing you great designs. I really like to background die.